Maintaining growth in an acquisition year. 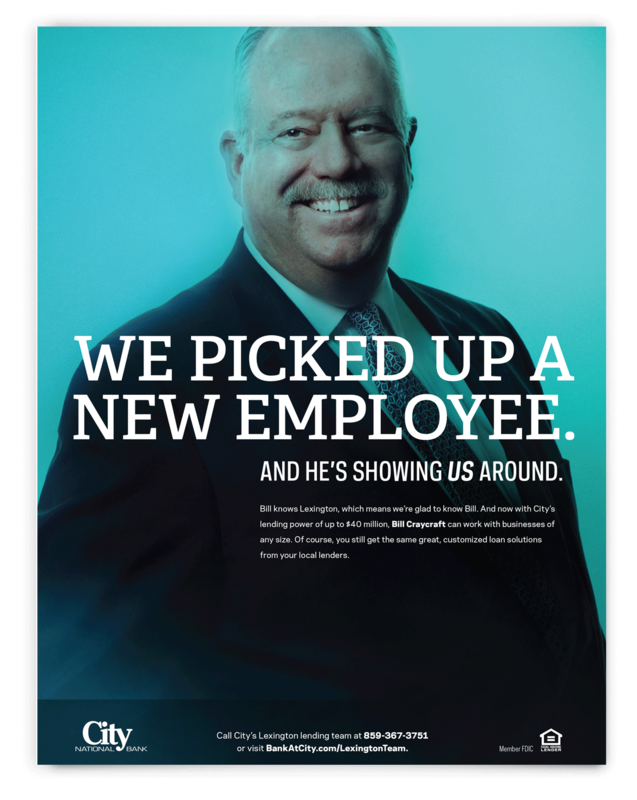 For 20 years we’ve helped City National Bank build a bold, distinctive brand that serves customers in West Virginia, Kentucky, Ohio and Virginia. 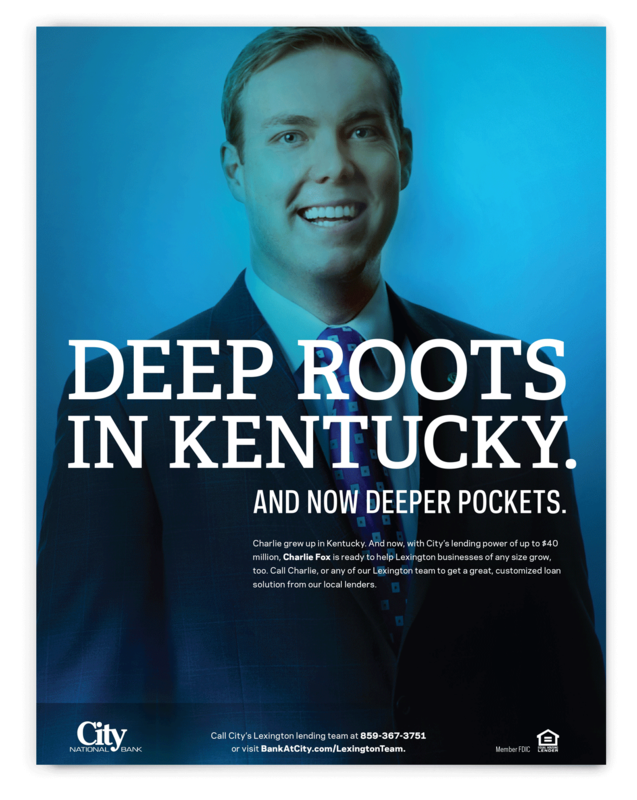 When they acquired a competitor in the Lexington, Kentucky market, they needed to lean on that brand to retain existing deposits and grow commercial lending efforts. Borrowers in the area now had access to up to $40 million in lending power but might hesitate to do business with the new guys in town. 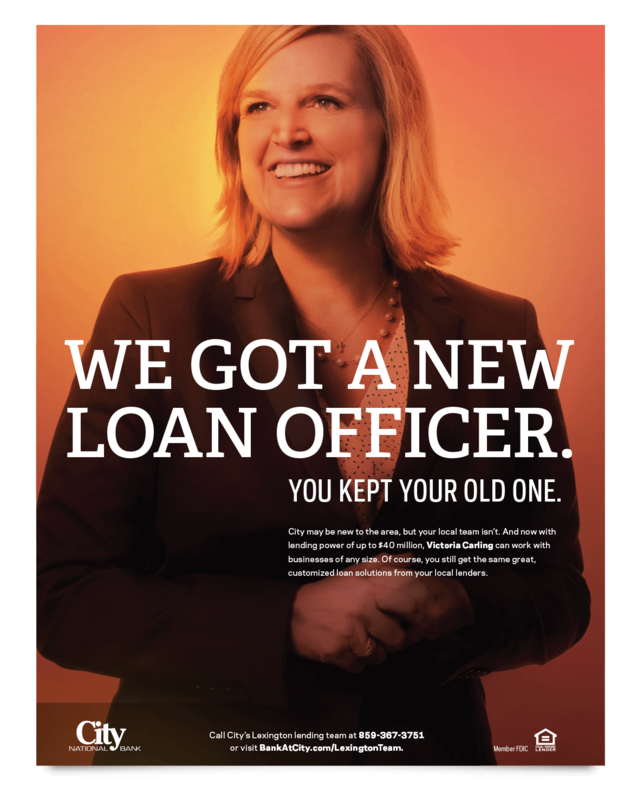 But the new guys weren’t new—City retained 100% of the commercial lending team area businesses had worked with in the past. Our campaign focused on the benefit of familiar faces supported by City’s superior lending power and generated more than 600 total site visits in the month after the campaign launched, with a click-through rate nearly five times higher than the industry benchmark. The commercial lending team saw great success in attracting new customers, the loan portfolio grew and—unusual for an acquisition year—branches ended the year with more assets than they started with. 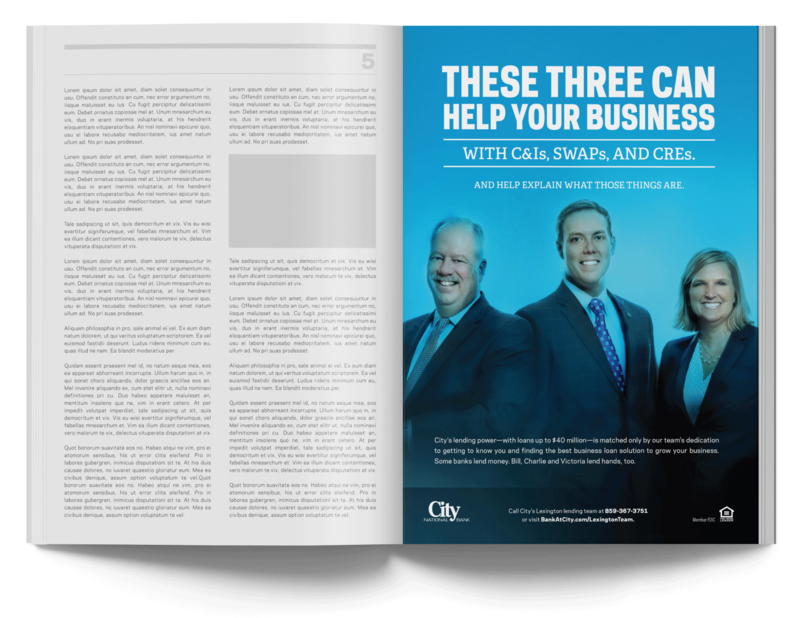 City National Bank branches gained assets in a new market during an acquisition year.